The only way to do NZ! I rung the main office up and the person that we spoke to (name cant remember) told us it was below and behind the drivers door, fine that worked but our toilet and dishes sinks were still overflowing, we bought chemicals to flush to no avail, then on returning to base our very friendly and welcoming Staff member Geoff showed us where the other outlet was, far too late though. Apart from that our holiday in this form of accomodation/transport was the best, fantastic and I have passed this on to many of my family, friends and staff in Rotorua and of Te Puia. My family are looking at planning another escapade similar to this one we just took next year but hopefully for a longer period of time 3 - 4 weeks. Thanks for the experience and memories. Our experience was a good one! Booking was fast, receiving vehicle was prompt. It was clean & comfortable. Thank you. Hi guys, yeah we had a great time. The only constructive criticism we might have is the process of physically picking up the rental. It was a lengthy wait at the depot even as it was a quiet period of the day and not many customers were there at the time..
Making our initial reservation online was done with such ease. Your website was very self explanatory and user friendly. Upon arrival at Christchurch airport we took advantage of your courtesy pickup. As there were other people also hiring motorhomes from your company, and only a sedan car doing pickups, we were required to wait a little while. A shuttle bus in such sitautions may be a little better, but in saying that the young gentleman that picked us up (your maintenance man I think) was more than courteous, even if it was eveident he was rushing and trying to please several people. Upon arrival at your establishment we were greeted in a friendly manner and tended to quite quickly. As more people arrived to collect their motorhomes we sensed that our introduction to things was speeded up and we were given a very quick overview. I think it was also assumed that because we are in the industry ( we run 8 caravan parks in australia) that our knowledge of motorhomes was already a given, but must say it is always nice to be on the recieving end of customer service for a change. We were pleasantly surprised on the day of a free upgrade from a 4 berth to a 6 berth, and were most appreciative. It has confirmed in our mind that we would hire a 6 berth in future and certainly recommend it to others. The joy of not having to sleep in the overhead drivers compartment or convert the table each day to a bed, made for pleasant travelling each day. One feature we enjoyed tremendously was the tourist info that cut into the radio station at every town. This device was immeasurable in persuading us to stop at various sites. One slight disappointment was the fact that we could not get the TV to tune at any town we stayed in over the entire week. Whilst we did not allow this to detract from our holiday, the TV was a feature we based our motorhome decision on. We read and re-read the TV instructions in the manual a dozen times - to no avail. All in all we had a wonderful time in the south island of New Zealand. The scenery was spectacular, the people friendly, the country side so clean. The trip was most affordable and highly recommended as a must do for others. Thank you once again for the opportunity to comment and we would not hesitate to recommend you to others. When we arrived at the depot in Aukland we were left waiting for 50mins before we were informed our van would not be ready for at least another 2hours as it was being cleaned. I found this completely unacceptable after having the week before and the day before to confirm pick up details. On a positive note the depot did give us a free hire car to allow us to get into Aukland city centre for the day and also provided us with a bottle of wine for our troubles when we returned to pick up the van. The van itself was easy to drive and use, no problems at all as far as getting around. We found a couple of minor problems during the first couple of days - there was no rail for the ladder to the above cabin bed to clip onto which meant using the ladder was unsafe, and also the leg fell off the main table on the first day - we found on inspection this had been repaired on many occasions. Other than that we had a great time, the drop off process in Wellington was straight forward so a nice way to end the trip. The pick up of the campervan took too long. There was lot of waiting around. I can understand the need to go through all the details of how things work, but we seemed to spend ages just waiting around not knowing why we were waiting and we really wanted to get going on our holiday. We thoroughly enjoyed our campervan. We travelled the south island for 21 days. The only downside to the campervan is when you provide basic utensils and things for the kitchen there was no microwave containers. A plastic lunch box was provided which was useless. Basic requiremet should include proper containers if you are going to provide a microwave. These I had to purchase myself. Also there should be wine glass provided, these would be of little cost to you. On the whole I would recommend this form of travel. We do hope to return next year and do the north island the same way. No complaints. It was a great experience and everyone we dealt with at Kea was very helpful. Everything went very smoothly. The booking process at Discovery was very simple and convenient. The response from the staff was very timely. The entire process of getting the caravan and returning was also smooth. The customer service staff at KEA was one of the best experience I had in New Zealand, very helpful and courteous! It was great thank you. We would consider doing this again. Hello there, Our campervan holiday in Jan 09 was absolutely fantastic. Booking online was quick and easy with no problems at all. When we picked up the van the staff (and Tania) was very helpful and friendly! The van itself was great, there was only one minor problem we had with the cd player not working all that well but other than that we had no other problems. The actual running of the van was also great, we hired from another company a few years ago and we had quite a few different mechanical problems with that van, but this one drove like a dream and had no mechanical problems at all. Overall we were extremely happy with our experience this time around and would highly recommend your service to family and friends!!! Thank you and we will definitely book again next year in April when we come back!!! Hello Discovery Motorhomes New Zealand. We had a perfect trip van Auckland to Wellington. We have seen wonderfull things, met great people and stayed in great campingplaces. Yes it was a big succes and we hope to come back to do it again. The car was great too, everything we needed was included, we had no problems what so ever. All the best, MS and EB. Everythings was absoluty perfect, it is a fantastic expirience and the motorhome it is very well. Thank you very much. Apart from a minor problem with interior lights, our campervan trip was terrific. Plenty of room, reliable vehicle and top service from start to finish. This was the first time hiring a campervan. Everything was first class. We were able to pick up the van , which was almost brand new, with a minimum of fuss and the return proceedure was painless. The van was well presented and drove well and was very economical to drive. I am completely satisfied with the service provided by Discovery Campervans Australia. 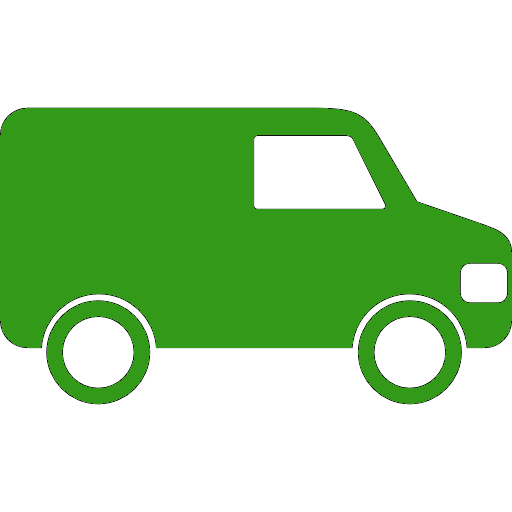 Smooth booking, transaction and a top of the range good quality campervan. I would highly recommend them and would use this service again. I will do it again next year but would like a 6 berth unit...............can I now in fact book it now for the Moto GP.....please! !